This is a catalogue of Patrick Bárta, swordsmith, specialized in repliques of European swords up to the 9th century. Since 1995, he cooperates with many Czech and foreign museums, academic institutions. On occasion, he gives invited lectures at Masaryk universitiy. 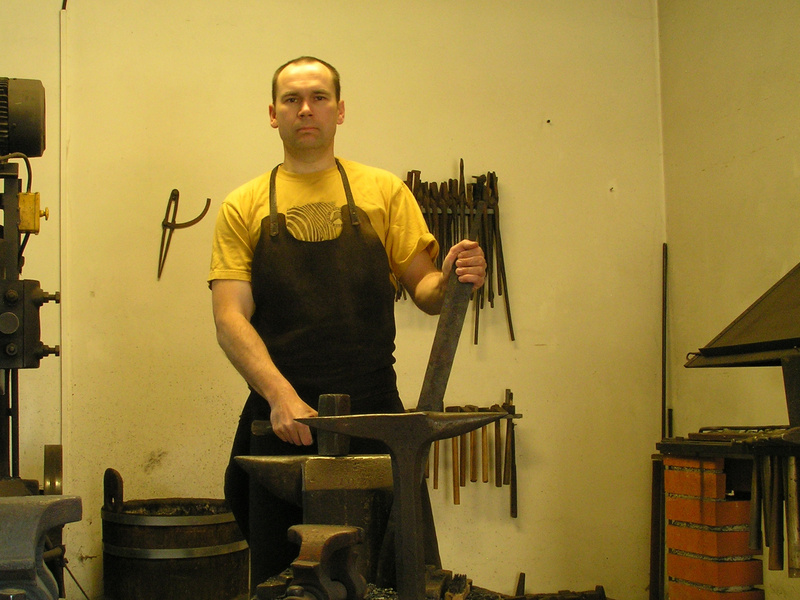 His credo is maximal quality of his works and the use of exclusively traditional procedures when making the swords. Patrick Bárta was born in 1971, he finished grammar school in 1989. He became a profession swordsmith in 1992. Between 1993 and 1995 he studied at the School of artcrafts (Brno, Czech Republic). He started his smithy together with Pavel Řiháček, they broke up in 1997. Patrik stayed at his native place and has specialized in European arms, Pavel moved to an ancient mill on Želetavka river near Jemnice and focused on Japanese weapons. Remember, please, that this catalogue shows only some of the arms manufactured by Patrick Bárta. Handover: A hand-to-hand delivery of my products is possible in Czech Republic or in any neighboring country (thanks to open border policy inside our European union). Shipping: Sending parcels abroad is possible only at the customer's own risk. Customers may arrange a particular shipping procedure on their own. Since 2017, shipping companies (i.e. UPS, DHL, DPD, Czech post) have prohibited delivering my products overseas as artwork. Also the risk of non-fulfilled insurance of lost expensive parcels has grown substantially.